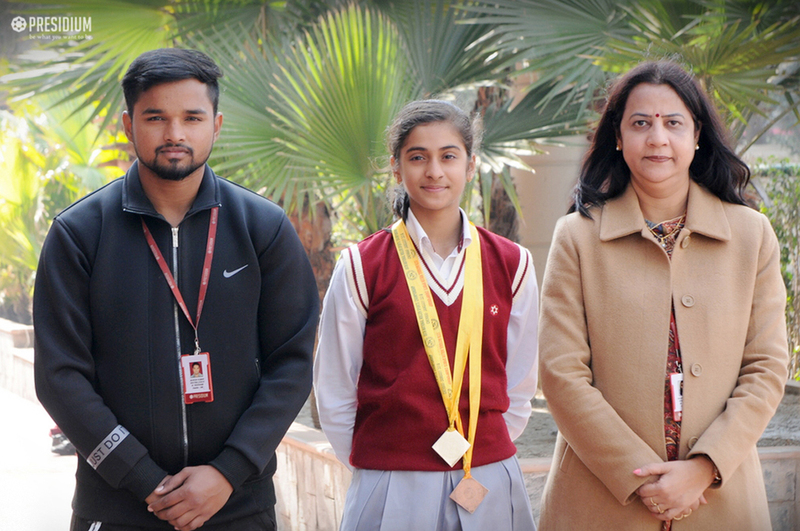 At the recent 50th National Roller Skating Sports Championship 2017-2018, Pari Gulati, a grade 8 student of Presidium, Dwarka 16B proved her extraordinary sportsmanship and will to win. Organized by the renowned Roller Skating Federation of India in Chennai, the grand competition witnessed participation of countless students. The skating prodigy won a silver medal in 10,000m Point to Point Rink Race and a bronze medal in 20,000m Road Race Elimination. Kudos to Pari and her mentors!